After an unavoidable hiatus over the summer at its meeting Nov.6 meeting our board was pleased to hear of the availability of access to a charitable number. It is expected that the potential for tax free donations will facilitate financial contributions from several previously contacted organizations. As well, donation invitations will be sent to a range of individuals in our personal networks. Our long expected online crowdfunding campaign will soon be ready to go. Board members welcomed these several new developments and will plan associated events and communications to optimize the potential for financial and moral support. Finally, thanks to a suggestion from a former board member we will be submitting an application to a funding programme for mentoring black youth, a key demographic for our project. Red Panamericana Toronto was delighted to join with other friends, supporters and partners of fellow non-profit Nutmeg Soccer on Aug.22nd, 2017. 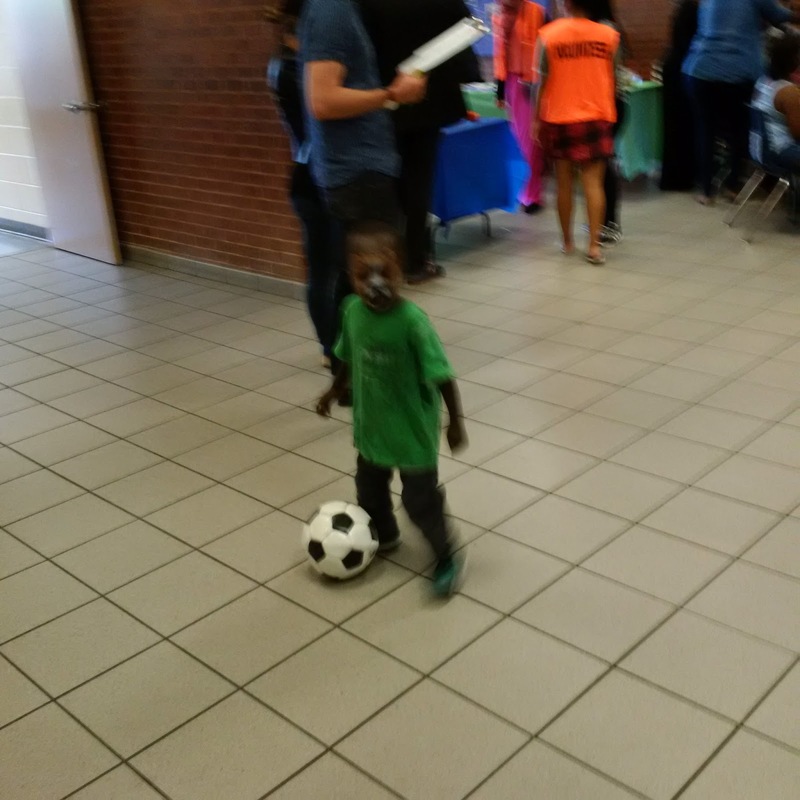 See https://nutmegsoccer.org/agm_records/ for the AGM slideshow featuring some of the young people that attend Nutmeg’s community clinics. A variety of speakers from the public sector and civil society reported on Nutmeg’s admirable record to date of engaging youth in life skill development through soccer, at their base in the downtown Alexandra Park neighbourhood. Ron Smale, President of Ontario Soccer and Nutmeg directors welcomed Red Panamericana’s plan for Cruyff Court Toronto as a good fit for Nutmeg’s vision of expansion to new neighbourhoods. Starting in March, 2017 a programme for girls has been added to the Nutmeg offerings. The common goal of grassroots health and development of young people are at the base of Nutmeg/Cruyff Court Toronto’s planned collaboration, starting with a Sept. 23 clinic for community youth at the site of Toronto Azzurri Soccer club. Our upcoming board meeting will discuss the details. Here Javier Dias of Nutmeg addresses AGM guests. At our board meeting of Jan.23 we were pleased to welcome new member, Salvador Altamirano, long time co-worker of “green” Toronto architect David Fujiwara. Red Panamericana Toronto encourages board applications from all committed to a better city by building Toronto’s social economy through sport. To enhance and enable our community profile and fundraising capacities board members agreed on May 14 to initiate a programme partnership with fraternal NGO Nutmeg Soccer, starting with a fee soccer clinic for local youth in June, 2017. New board member Saafi Warsame was welcomed to contribute her City of Toronto research experience to the board. At a lunch meeting on Monday April 10 Red Panamericana Board members met with youth soccer programme Nutmeg Soccer‘s Javier Diaz and came away with an in-principle agreement to collaborate on events and programming starting in summer, 2017. Nutmeg provides non-profit coaching and mentorship for youngsters in Toronto neighbourhoods and is a very good fit with our own focus on soccer as an agent of personal and community development, health and wellness in under-served areas of the City. At our board meeting of Jan.23, 2017 we were pleased to welcome new member, Salvador Altamirano, long time co-worker of “green” Toronto architect David Fujiwara. Red Panamericana Toronto encourages board applications from all committed to a better city by building Toronto’s social economy through sport. With encouragement from a major Canadian bank we will be seeking additional sponsors in the month ahead and publicizing our project among philanthropic organizations, the municipality and educational institutions. REMINDER TO ALL: Donations of any size on this blog are a simple and inexpensive way of showing your support for health and wellness opportunities for our partners in some of Toronto’s most under-served neighbourhoods. Nepal is one of the poorest countries in the world and its many street children are among the poorest of the poor. But Nepal is the current South Asian champion in football (soccer), the most popular game in the world, and Torontothebetter’s Red Panamericana Toronto community development through sport programme is exploring an opening to provide the many opportunities of organized football to hundreds of such children fending for themselves in the streets of Kathmandu. To learn more about our developing partnership on this project with Nepaalese charity Norbuling Children’s Home stay tuned to this blog. And support our community sports projects in Toronto or Nepal by making a donation of on any size on our home page at http://www.redpanamericana.wordpress.